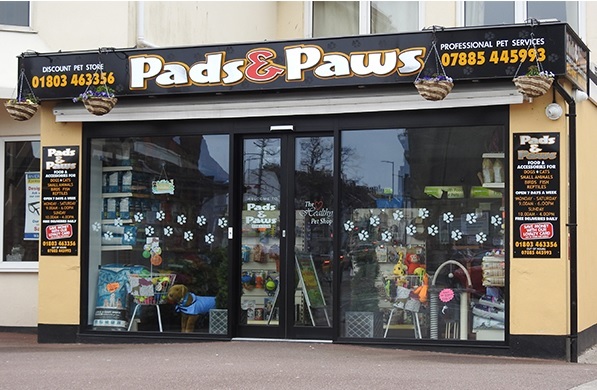 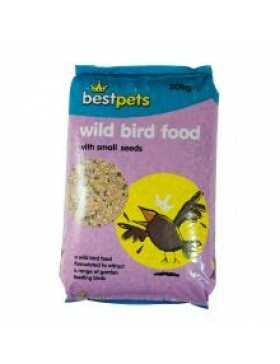 In the category "Food" you can buy more than 5 products, such as Bestpets Wild Bird Seed 20kg, Bestpets No Mess Wildbird 12.75kg, Bestpets Premium Wildbird 20kg. 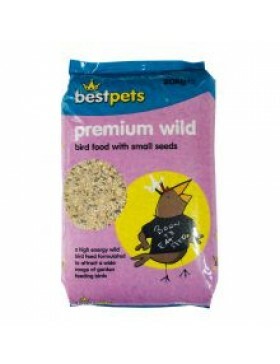 With small seeds it is a general wild bird food mixture containing many essential ingredients to pro.. 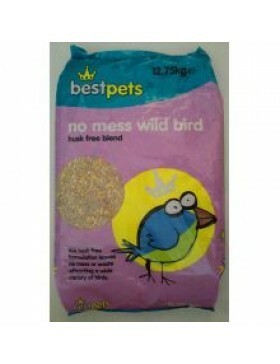 This husk free formulation this wild bird food leaves no mess or waste attracting a wide variety of ..
Bird food with small exotic seeds is a general wild bird food mixture with high sunflower seed conte..
Bird food formulated for songbirds; Chopped, premium ingredients to attract a variety of smaller bir.. 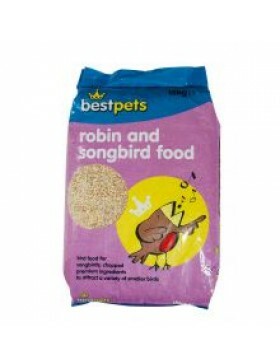 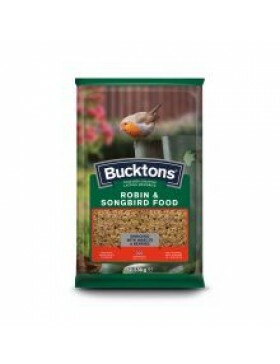 Product Information Designed to replicate natural dietary preferences of Robin’s and Songbirds, with..